Why does one need a CRIS? euroCRIS, founded in 2002, is an international not-for-profit association, that brings together experts on research information in general and research information systems (CRIS) in particular. The mission of euroCRIS is to promote cooperation within and share knowledge among the research information community and interoperability of research information through CERIF, the Common European Research Information Format. Areas of interest also cover research databases, CRIS related data like scientific datasets, (open access) institutional repositories, as well as data access and exchange mechanisms, standards and guidelines and best practice for CRIS. euroCRIS is steered by a Board, consisting of a President, a Secretary, Executives for Communication, Events, External Relations, Projects as well as the leaders of several Task Groups. The Task Groups are the heart of the organisation where most of the work is done. They focus on the development of optimal policies, definition of use cases as well as technical solutions concerning several aspects. The Task Groups consist of experts from within the membership of euroCRIS. The number and aims of task groups are not fixed. The closing of existing as well as the opening of new groups is taking place in accordance with developments within the research information domain. euroCRIS provides the framework for the flow of information between a broad variety of stakeholders: researchers, research managers and administrators, research councils, research funders, entrepreneurs and technology transfer organisations. euroCRIS as well addresses the media and the public. An important instrument for the exchange of information are International euroCRIS Conferences (biannual) and euroCris Strategic Membership Meetings (biannual). Annual subscription is 300 € (institutional, 5 voting members), 60 € (individual membership) and 30 € (for affiliate membership). Click on the "Join euroCRIS" link at the right on top of this page to get the subscription form. 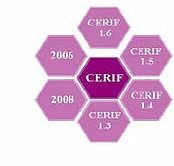 "To promote collaboration within the research information community and advance interoperability through CERIF"
Click here for a list of upcoming events related to the field of research information and / or the organisations active in this field.